What's a girl to do when Mom and Dad announce that the whole family is moving to Scotland for a yearlong teacher exchange? Can you spell d-i-s-a-s-t-e-r? When Andrea gets there, she finds she and her family are living with the principal and she is being pestered by the ultraweird Jasmin. But then she finds an amazing girls? soccer league and a cute boy named Stewart. 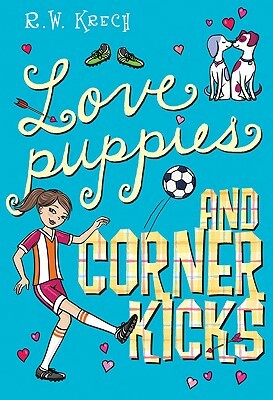 Will Andrea's new tough soccer girls accept that she is crushing on a boy from a rival team and not totally devoted to winning a championship? Perfect for fans of Lauren Myracle. R. W. Krech lives in New Jersey and is the author of "Rebound," an ALA Best Book for Young Adults.